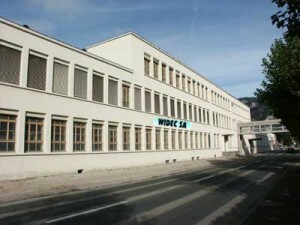 Founded in 1991, Widec SA specialises in the production of parts for medical technology and various equipment. Our plant is equiped with highly functional machines-tools such as Tornos (traditional, with cames) and CNC (up to 11 spindles), as well as with up-to-date finishing machines. Thanks to the wide experience of our specialists and the high functionnality of our equipment, we are capable of meeting any requirements under the norms AQL or SPC. Whether it is limited or bulk production, for sophisticated or tiny pieces, we shall provide you with production of impeccable quality.